A new Courier-Journal Bluegrass poll shows that a clear majority of Kentuckians believe the right to own guns is more important than the need for increased gun control measures. However, the same poll found small to large majorities favor individual parts of a gun control package championed by President Obama. Of those surveyed, 65 percent said they believe guns protect law-abiding citizens more than make society more dangerous. Twenty-seven percent disagreed with that statement. Despite the general support for Second Amendment rights, 56 percent said they favored stricter laws limiting access to firearms. 75 percent support background checks on gun buyers, even if the sale is between private parties. 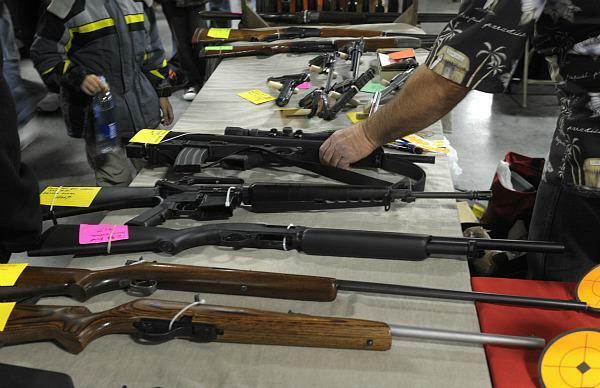 65 percent would support a law that requires guns to be registered with the state. 53 percent support a law limiting how much ammunition can be purchased at one time. 51 percent support a limit on how much ammunition a gun can hold at once. The telephone survey was conducted Jan. 24-27, involved 700 Kentucky residents, and has a margin of error of plus or minus 3.8 percentage points. McConnell Robocall Promises to Fight Gun Control "Tooth and Nail"
The call goes on to say McConnell will do everything in his power as Senate Minority Leader to protect Second Amendment freedoms. The robocall was first reported in the online political journal Politico. The President announced last week a set of wide-ranging gun control proposals, including a call for Congress to improve the federal background check system used to screen gun buyers. The White House also wants a ban on military-style assault weapons and a limit on the size of gun magazines available for purchase. The debate over gun limits and Second Amendment rights was put on the front-burner after the December school shootings in Newtown, Connecticut, in which 20 children and six others were murdered. Tennessee Rep. Joe Carr is proposing a state law to make it a crime in Tennessee for federal agents to enforce any effort to ban firearms or ammunition. The Murfreesboro Republican said that measure would also require the state's attorney general to defend any Tennessean prosecuted for violating the potential federal gun violations. The move comes after President Barack Obama on Wednesday unveiled the most sweeping proposals for curbing gun violence in two decades a month after the Connecticut school shooting that left six teachers and 20 students dead. The president called for universal background checks and bans on military-style assault weapons and high-capacity ammunition magazines. Kentucky second district Republican Congressman Brett Guthrie says he thinks preventing other tragedies like the shootings in Newtown, Connecticut can best be accomplished by focusing on mental health issues. The Bowling Green Republican favors that approach instead of what he calls "infringing on the Constitutional rights of law abiding citizens." Guthrie's House Committee on Education and the Workforce will be looking into school safety and he says he plans to get input from Kentucky education officials. Third District Congressman John Yarmuth, on the other hand, says he fully supports all of President Obama's proposals to end gun violence. The only Democrat in Kentucky's Congressional delegation is co-sponsoring a bill to ban high capacity gun magazines that hold more than ten rounds of ammunition. 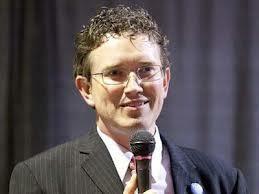 Kentucky's fourth district U.S. Rep. Thomas Massie says he wants to repeal the 1990 Gun Free School Zones Act, according to a published report. The Lewis County Republican was sworn into office this week in Washington D.C., and receives great support from the Tea Party.